No, not trying to click bait you. 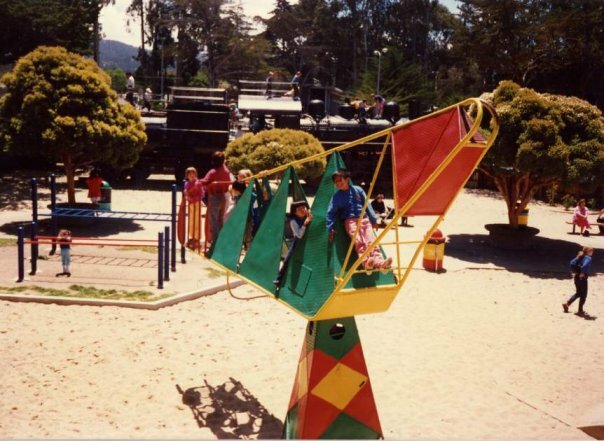 The spinny-thing-of-death was in fact a thing back in the heyday of the Dennis the Menace Playground in Monterey, California. There were no mortal injuries but this ‘helicopter’ would certainly be deemed a hazard in many jurisdictions today. 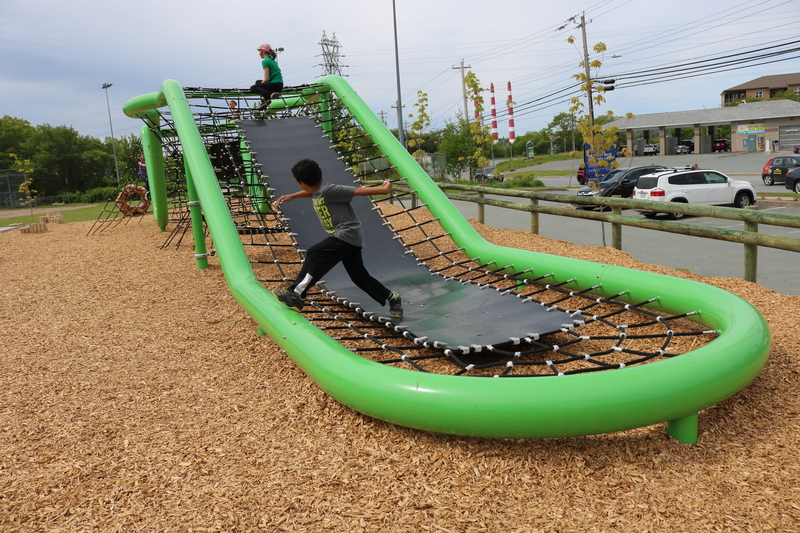 Readers, do you have any playground structure in your community that has been tagged with its own name? 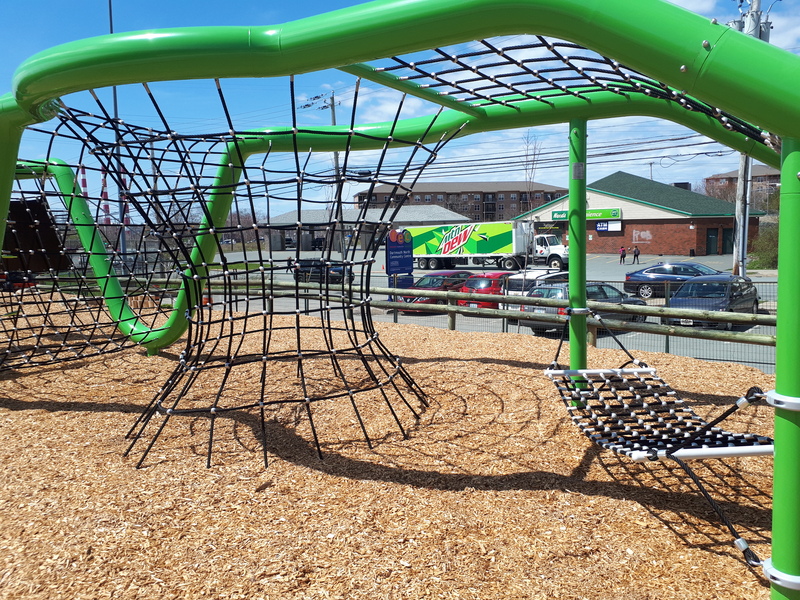 A new structure in PlayGroundology‘s hometown at the Dartmouth North Community Centre has sparked some talk in the local community about its name-worthiness. Any ideas for a name for this play structure? 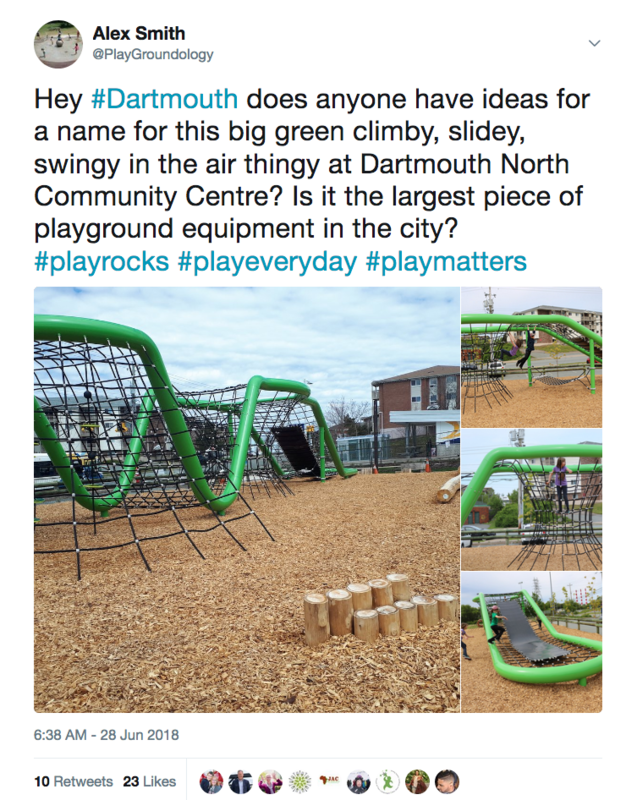 Having heard this from one of the project organizers, PlayGroundology took to Twitter yesterday in search of possible names. Most participants are local but we did catch the eye of a landscape architect in Lisbon. No names yet as catchy as the ‘spinny-thing-of-death’. I have a theory that the funnest, stickiest, most popular names will come from kids who play on the piece and they will make all of us adults look like rank amateurs in the naming sweepstakes. Leviathan, The Basket (from Lisbon), Imagic Dragon, Freedom, The Snake Range, The Northern Green Slither, The Eliminator, The Dragon’s Tongue, Slidey McSwing Face, Slidy McClimb Face and The Green Monster. Join the #namethegreenthing sweepstakes and send us your suggestion or join us on Twitter.